Ile de France – one of the important wine regions in France. Ile de France, which was one of the important French wine regions in the past, includes Paris and its surrounding regions. Although this is not an official wine region of the country at present Ile de France has got a rich history of having almost 42,000 hectares of land under vine cultivation during the seventeenth century. This region, which is in the process of revival of its winemaking, has five of its villages under the world-famous Champagne zone. During the past few decades, over 200 smaller recreational vineyards were started in Ile de France in about 12 hectares of viticultural land. The land area of Ile de France is about 12,011 square kilometers and the region is having eight departments with ‘Paris’ as its capital. Surrounding Paris, urbanization has completely filled other three departments which are collectively known as ‘petite couronne’. This smaller ring is extending into an outer ring of other four departments which are known as ‘grande couronne’. The ‘River Seine’ is running through the Ile de France region and this river is found to have several tributaries. Moreover, this is the second largest river in the country. The region’s climate conditions are found to be more or less similar to those of ‘England’ and ‘West Germany’. However, Ile de France is experiencing warmer summer seasons and milder winter seasons than England. Also, the amount of rainfall received by Ile de France is found to be lesser than the rains received by England. All these geographical conditions were responsible for making this region an important one for the country’s viticulture during the 17th and 18th century. Ile de France, a region where the vineyards are rarely found these days, is believed to be the first wine region of the country. The vineyards of Ile de France were found to have disappeared due to various reasons, although the major reason is said to be the ‘phylloxera’ – the pest invasion. Other major causes of the disappearance of vineyards in Ile de France were found to be urbanization and the coming of wines from the southern parts by rail transport. These days several people don’t even know that there are vineyards in Ile de France and Paris regions. 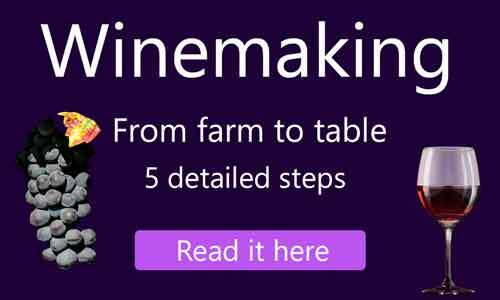 There are just 152 plots of vine plants exist with some of them still in the planning stages. These plots are either public or private owned. Currently, the largest vineyard in Ile de France is ‘Suresnes’ which is around one hectare in size. The present day wines that are being produced in this region are found to be modest local wines. Ila de France is producing around 33,000 bottles of wine each year from a total of eleven hectares of vineyards at present. What kinds of Wine Grapes are found in Ile de France? The climate, as well as the terrain in Ile de France, is found to be as good as the Bordeaux and Champagne regions. Furthermore, the region is sharing the climatic conditions and the latitude with the Champagne region. The wines that are being produced in the Ile de France are surprisingly good with most of them being white wines (49%). The region is also producing red wines (42%) and some sparkling wines.